Stunning storage solutions have never been more attainable. Dress your kitchen, dining room, den, or living room up or down with this relaxed console table featuring exquisite Cathedral-style doors. Contrasting yet complementary neutral colors elevate this beautiful console to a unique and interesting level. 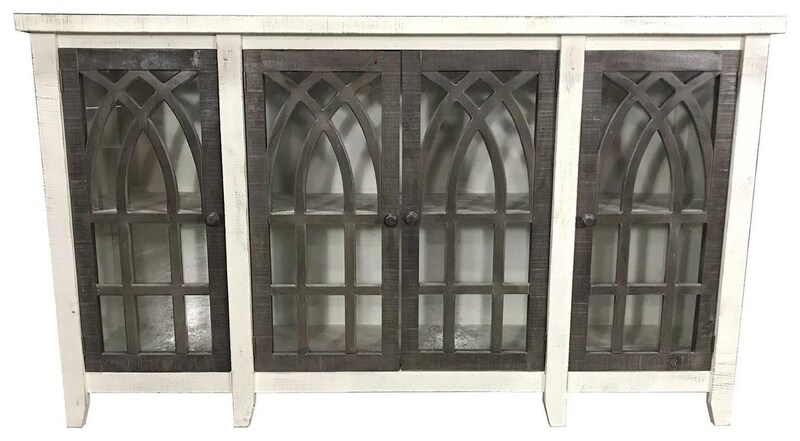 The Accents Cathedral Door Console in White/Ash by Vintage at Great American Home Store in the Memphis, TN, Southaven, MS area. Product availability may vary. Contact us for the most current availability on this product.